A web page created by the Water issues group designed to raise awareness and funds to support the building of wells. Week 7 begins with time for rehearsals. Each group presentation consists of a 10-15 minute presentation where each group shares their issue, perspectives, solutions and action. Students also have the option to have a table where they can share artifacts, art work, statistics, interactive components and any other visuals. 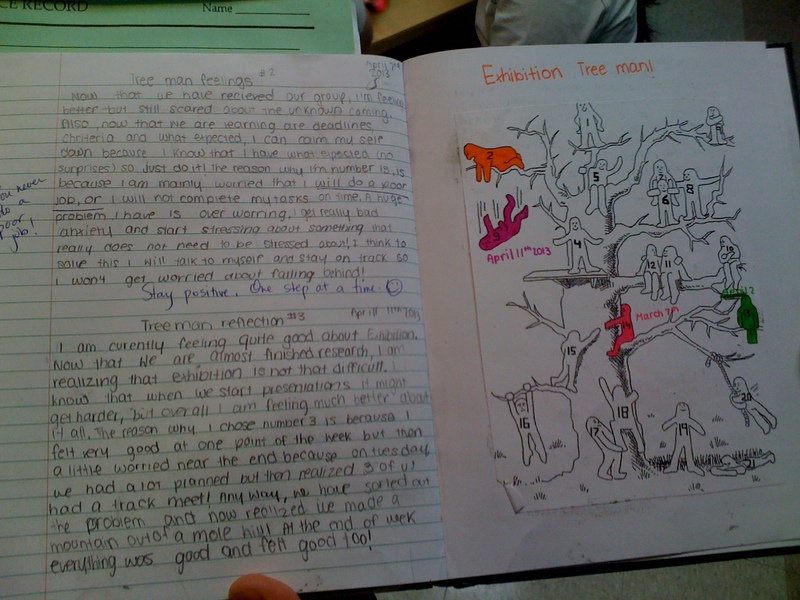 All students display their Exhibition journals and planning as well. Students work in their groups to rehearse and interact with their props. Because we believe that Exhibition Day is a day of celebration, group presentations are formally assessed during the “dress rehearsal” in class presentations. They are given immediate feedback (stars and wishes) from their peers and their teacher provides them with feedback and evaluative data as well. We find that this de-emphasises marks and instead places the emphasis on opportunities for continued growth. Students have the opportunity to reflect prior to exhibition day and this means that each group uses the feedback they receive and applies it to their public presentation on Exhibition Day. There are no clip boards, rubrics or check-lists on Exhibition Day – just passionate students sharing their learning . As I watch the dress rehearsals I am in awe of the girls’ Exhibition journey and the diversity their work shows. 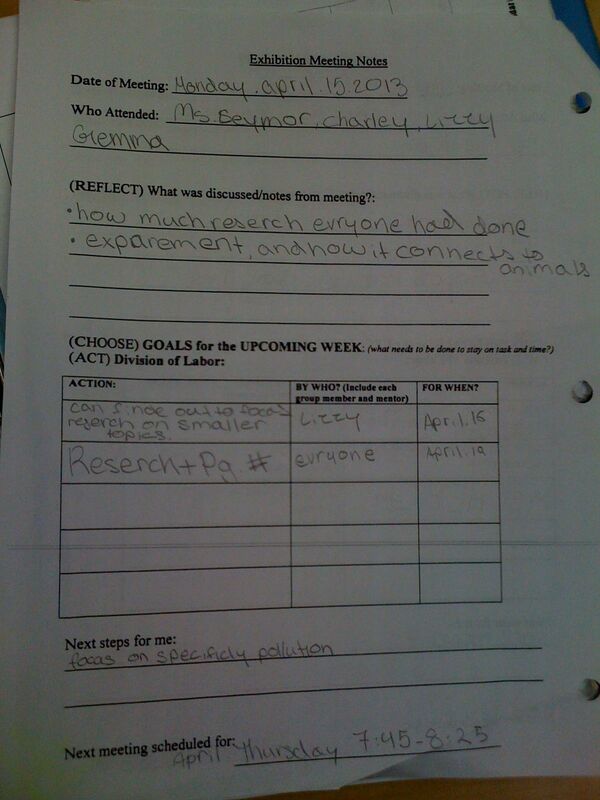 Every group has chosen unique ways to share their learning about their chosen issue. Passion and commitment are highly evident; knowledge is delivered in creative ways; students show they are risk-takers through their provocations and their confidence. The range of emotions I experience as I watch our learners transform into teachers leaves me at a loss for words: goose bumps, discomfort as my thinking and assumptions are challenged, teary eyed from shocking facts and statistics, inspired by messages of hope and action, and even laughter. These reactions tell me that the PYP journey is coming to an amazing end for these learners. They are living proof of the power of the IB framework and philosophy in action in our school. 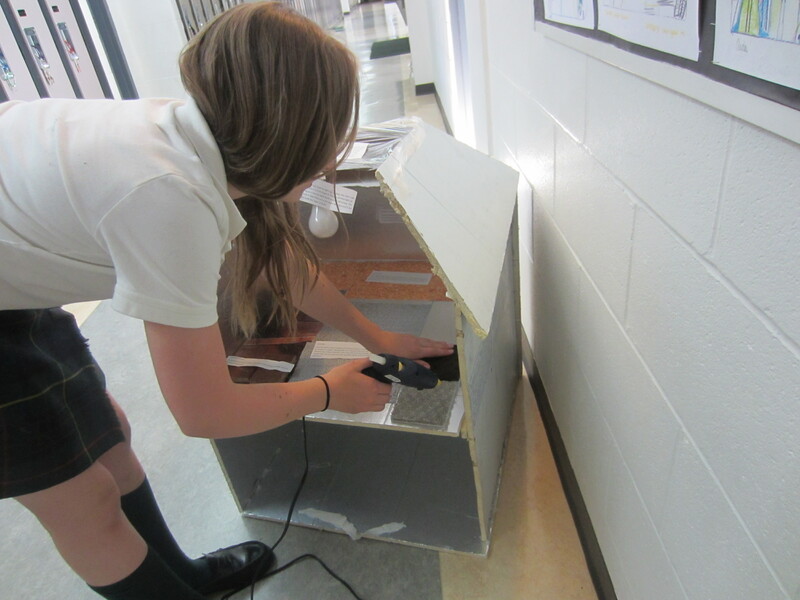 A student working on a model house that will show building materials that support a more sustainable future. 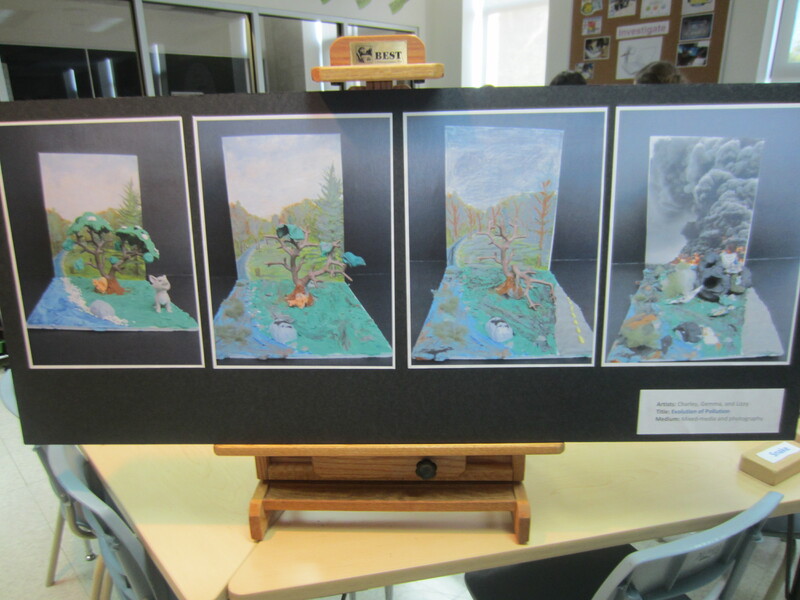 Artwork created by the Animal issues group showing the impact of pollution and waste on habitats. An interactive game designed to help players compare 3 different health care systems. Week 4 is all about research, research, research! 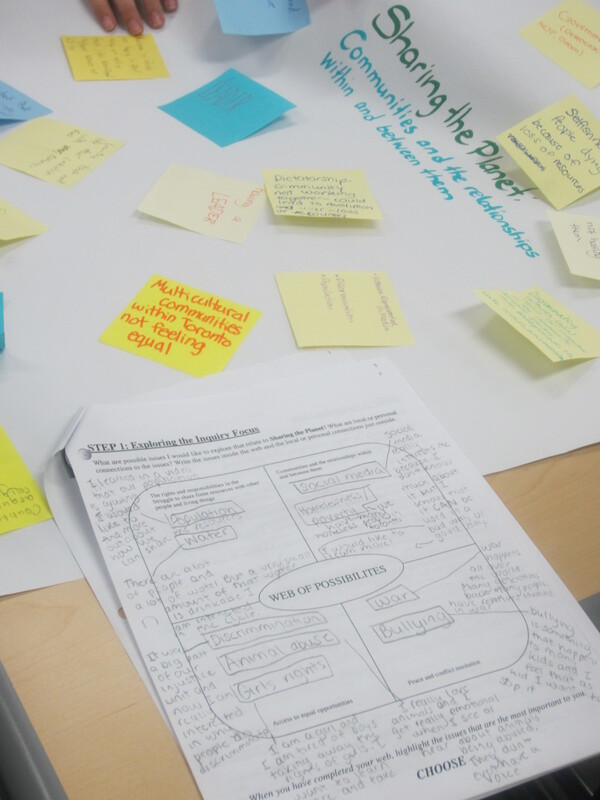 Now that learners have a defined focus through their central ideas and lines of inquiry they go full-on into research mode, building on the preliminary gathering of materials in Week 3. This week students focus on building a bank of key concept related questions to help them deepen their research and inquiry into their issues. 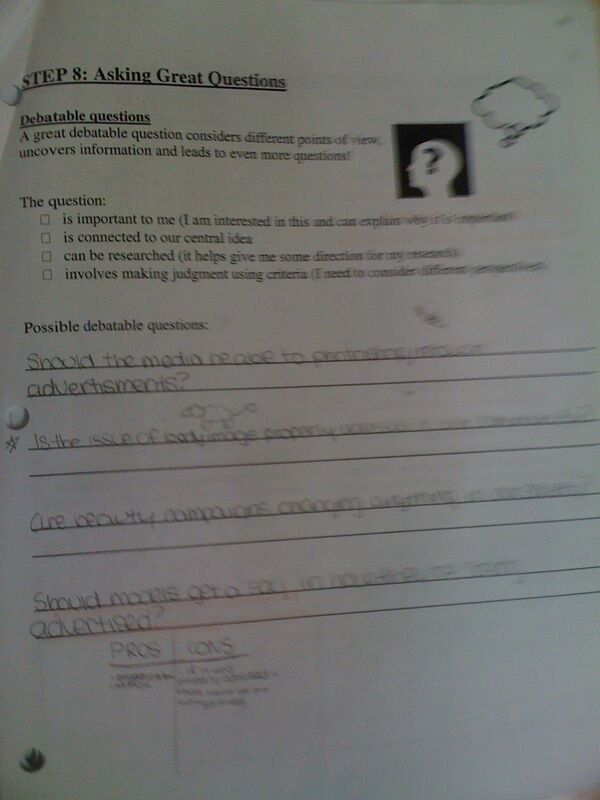 They use an F-Q-R format (Fact-Question-Response) to organize their research, show accountability/academic honesty for their chosen primary and secondary sources, and to think about their research as they conduct it. A key piece of research is also sourcing out primary sources who can share unique perspectives into the various issues. Students make contact with local organizations, politicians, businesses, museums, etc. to arrange interviews (in person, via Skype or by e-mail) and learning trips.This year students are experiencing a great response to their requests and have taken part in some very meaningful learning as a result. 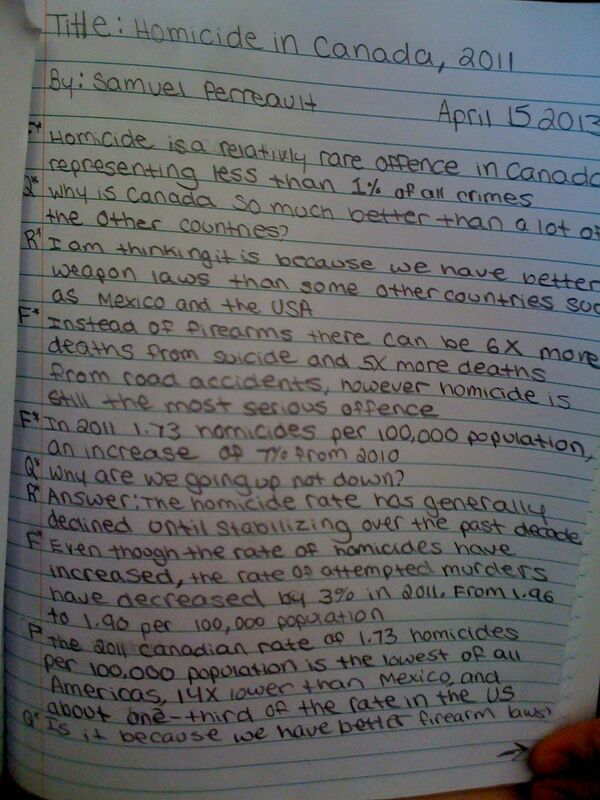 Primary sources help to provide a real life lens into the issue and help students to gain local perspectives. E.g. One group visited a museum lecture and spoke to activists with varying perspectives; another visited a homeless shelter; another interviewed a police officer about gun control and visited a news paper office and interviewed the editor about guns and weapons in the news, etc. Our parent community provides essential support in helping us to make connections and chaperones small groups of students as they embark on learning trips to support their exhibition issues. As students reach out into the community they are also inspired to start taking action. While we do not require that every group must organize an action component beyond the exhibition itself, spontaneous action ideas begin to arise as students become more knowledgeable and passionate about their issues and make meaningful connections to local organizations and people through their learning trips and interviews. Is the issue of body image properly addressed in our society? Are we doing enough to preserve the earth’s supply of potable water? Should children solve their bullying problems without adults intervening? Is crowding people into cities an effective way to use the land? During the week students meet with their mentors to review their research and set new goals. At the end of the week they complete reflections on their research skills, as well us update their open-ended “Tree People” reflections. Mentor Meeting Tracking Sheet. The students are responsible for completing this each week. On going reflections each week for students to share their thoughts and feelings about the exhibition process, etc. During our second week of preparing for the exhibition, the goal is to take students deeper into the issues that connect to the transdisciplinary theme, Sharing the planet. They begin by completing a web of possibilities, where they independently explore the range of different topics connecting to the four aspects that define the theme. They connect back to the charts they created during Week 1. Students then use their independent thinking to facilitate small group discussions to further extend and define the charts created during the provocation the previous week through the lens of the four theme descriptors. A carousel strategy is used to facilitate small group discussion, thinking, sorting and classifying of the different topics brainstormed the previous week. 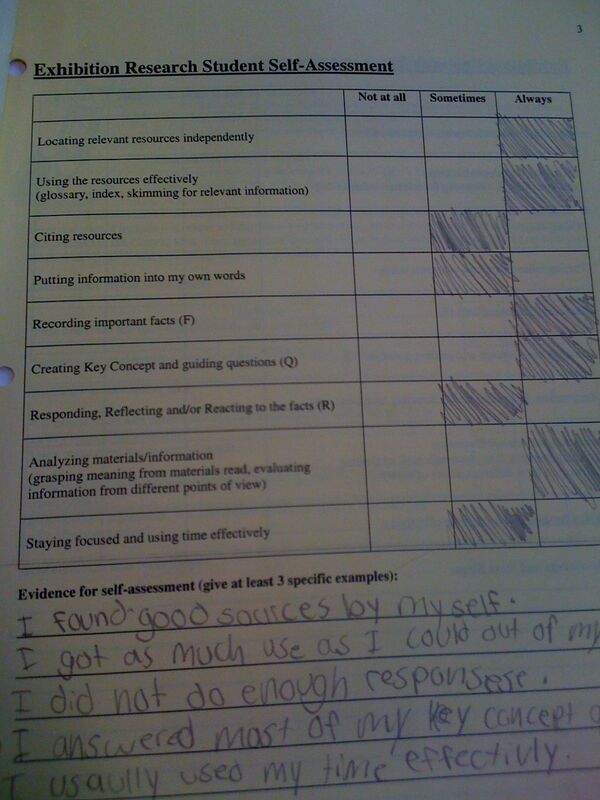 Students also have the opportunity to add topics to these charts as they are passed from group to group. Part of the sorting process also involves eliminating redundancies, and as the charts are passed around students make further connections to the commonalities across the four theme descriptors. 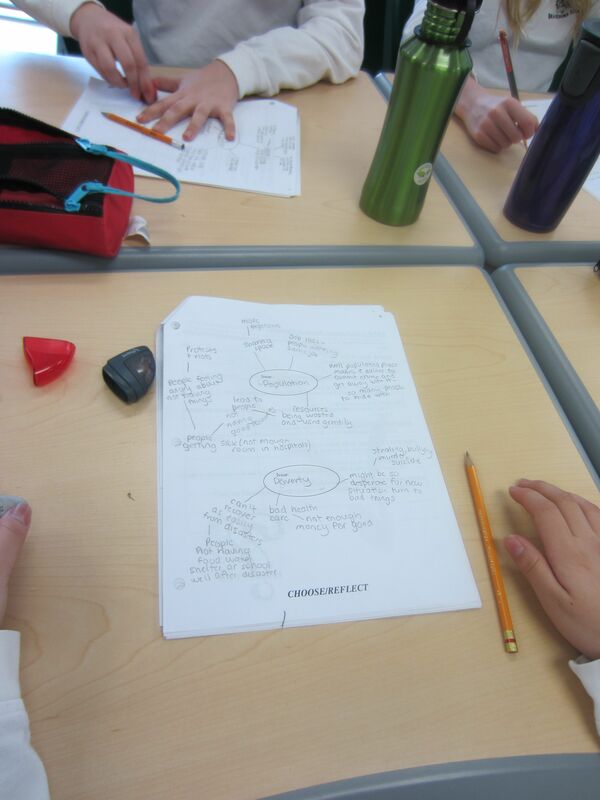 Our grade wide central idea is also shared with the students early in the week and they are asked to work in groups to augment this central idea. 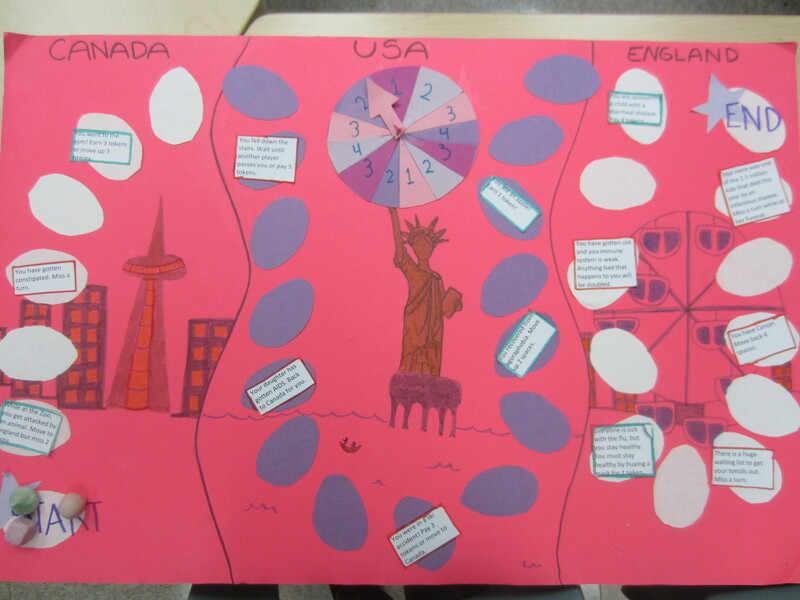 The grade wide central idea helps the students to focus in on the purpose of the exhibition and reminds the students of the importance of issues in guiding the decision making process as they get closer to defining the specific issues that will shape their exhibition. It also serves as a preassessment of the students’ understanding of key exhibition concepts and exposes them to the components of a central idea in the context of the exhibition. 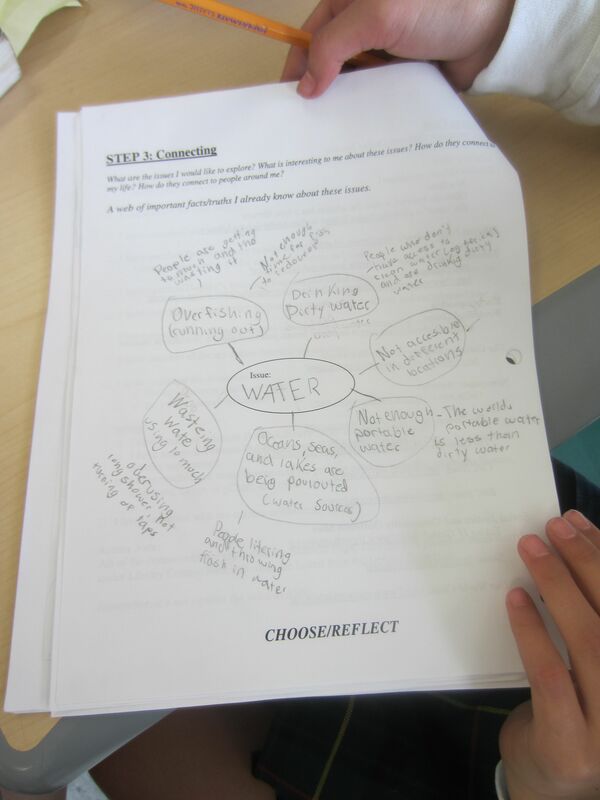 While each group will write their own central idea relating to their specific issue, the grade wide central idea defines our shared purpose as learners and collaborators. Central Idea: Understanding current issues can help us to actively engage as members of the local community. Moving from concepts or topics to deeper issues. As we finish this step together, I am floored by the learning energy that fills the room. I can literally see all the whirring and colours of the students’ collective understanding as little figurative light- bulbs brighten above their heads. The air is electric and the students’ thinking is charged! Students are now ready to try this on their own. They are asked to choose three topics from the charts that they are feeling passionate about and want to explore further through this lens. This will help to guide them at the start of week 3, as they make their decisions about what they want to explore for their exhibition. Once students independently web three different concepts into possible issues, we poll the room and graph the issues they are passionate about. This gives us an indication of where different student interests lie and where possible groups might form. 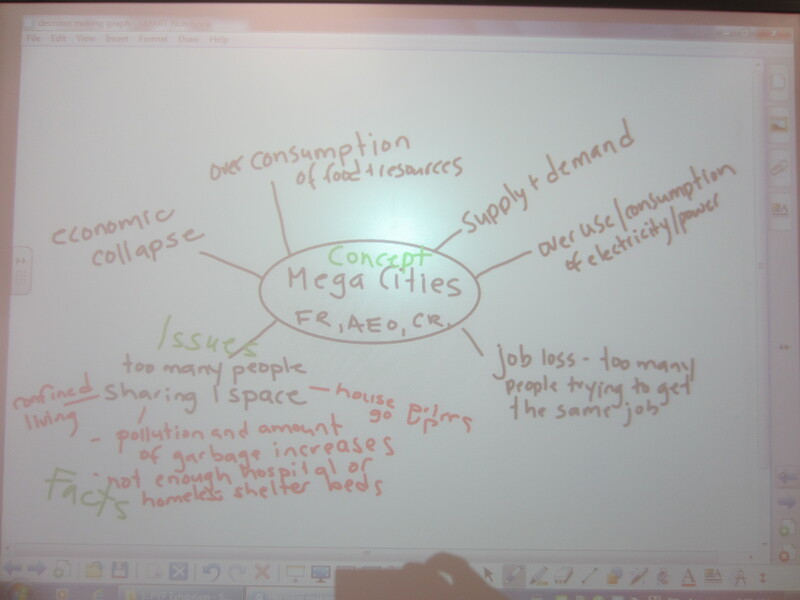 It’s a good visual for the students, as after they have the weekend to think and further expand on their webs, they will choose their top three issues, which will lead to the formation of their exhibition collaborative inquiry groups. 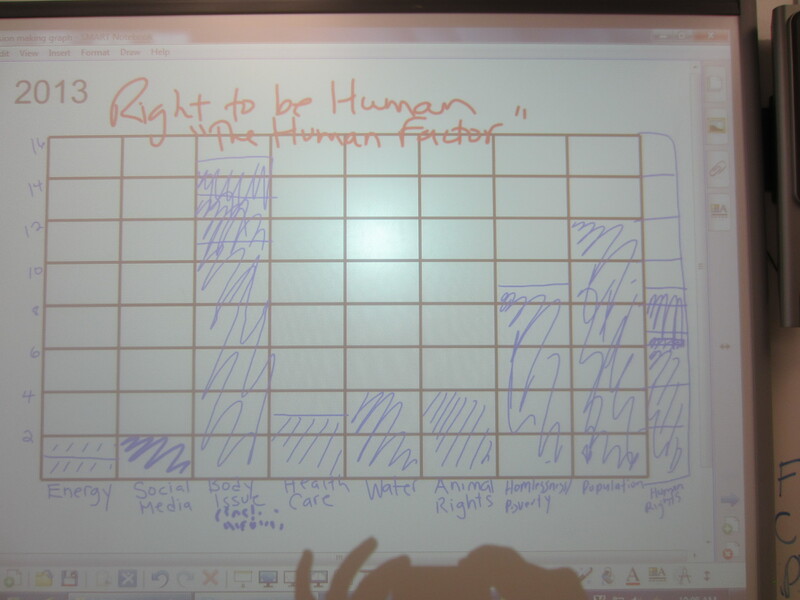 In this class, a common element emerges – the right to be human. The graph in the other grade 6 class looks very different and the concepts and issues are much broader. It’s important to honour the differences between the two learning communities as we move forward.